May buy 5 for yourself and 5 additional as gifts. May use 1 voucher per course. 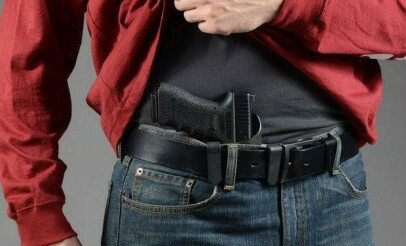 Online course valid for a Virginia Nonresident Concealed Handgun Permit, which is accepted in 34 states including Utah. Online registration required. When applying for the permit, state fees may apply. Must use entire value in 1 visit. Expires 4 months after purchase. See the terms that apply to all deals. With a hassle-free virtual course, Online Carry Training lets people meet the requirements they need to apply for their permit to carry or concealed carry weapons permit without leaving their computer. The 45-to-60 minute course emphasizes educated, responsible gun ownership, familiarizing students with the ins and outs of gun safety and shooting basics. The online course is possible because of the laws governing the 34 states it covers: from Alabama to Wyoming (and Utah), each state allows permit applicants to be trained in firearms safety without once firing a handgun. Upon completion of the course, go to our State Laws Page to see which permit you can apply to with our course: onlinecarrytraining.com/state-laws.